"Rescue 911, You've Watched It, Now Live It"
The Mountain Ambulance Service is actively searching for potential new members...Might this be something you are interested in? If so, please spend a moment or two, check out our website here or our Facebook Page and download and complete the Membership Application. 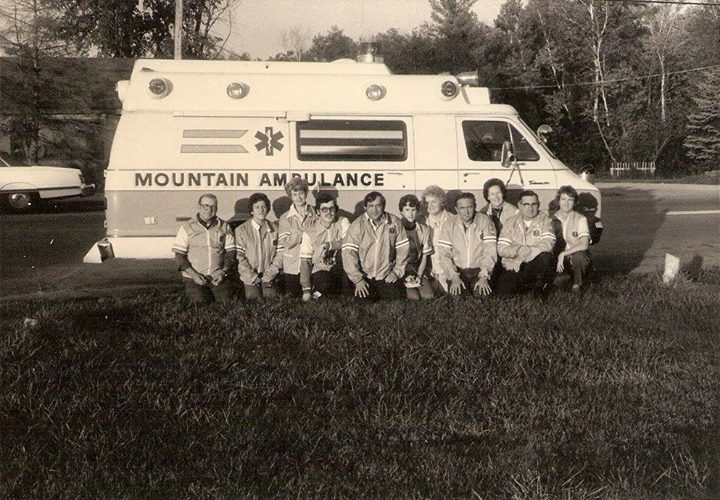 The Mountain Ambulance Service first began serving the Communities of Breed, Doty, Mountain, and Riverview in 1971 when a small group of individuals got together and decided that the Towns needed an "Ambulance Service". That first year, the Service received a 50/50 funding from the Federal Ambulance Service to help purchase a 1971 ford van and radio. This first ambulance found a home in garages all over, depending on who was "On Call". After a couple of years and many fund raisers, the Service was able to purchase and build a squad building located in Mountain. In 1999, the Towns recognized the need for a new facility to house equipment and storage, provide offices, a training area and spaces for members to cleanup. A new facility was built and is located just north of Mountain along Highway 32. When the Service received radio capabilities, the Town's each donated a pager that was then passed around to whomever was "on call". It wasn't until later that the Service was able to purchase the two-way radios/pagers that are in use today. For the first thirteen years, the Mountain Ambulance Service co-sponsored bingo with the Mountain Fire Department and the V.F.W. Auxiliary to help pay for the new ambulances and to help with the purchase of new equipment. From it's conception until December 31, 1995, the Mountain Ambulance Service, Inc., operated with no set budget or income, relying on fund raisers, donations, transport fees, and minimal Town contract fees. 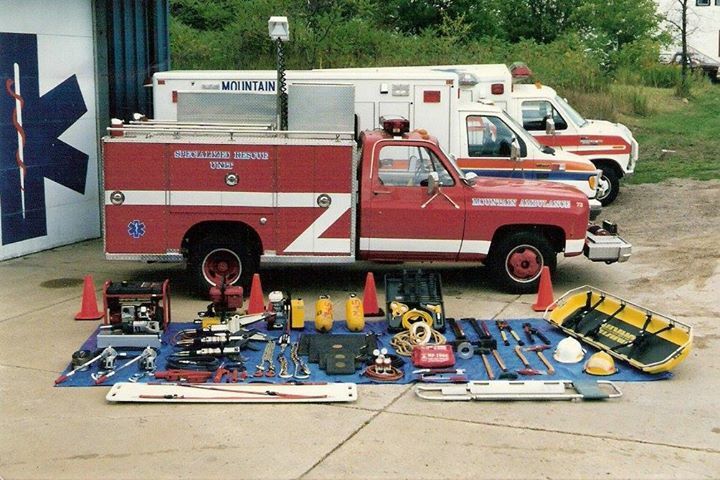 On January 1, 1996, the Mountain Ambulance Service, Inc., became the Mountain Ambulance Service, owned and operated by the Towns of Mountain, Doty, & Riverview. In 1995, the Towns hired day time staff to respond to calls weekdays between the hours of 6am to 6pm. Nights and weekends were covered by part time staff that would be “on call” and respond from home. 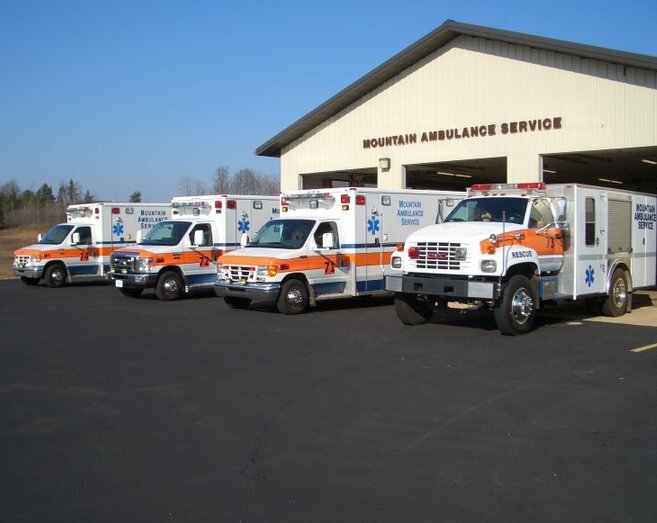 Because of the lack of “volunteers” able to cover nights and weekend shifts, the Mountain Ambulance Service became a full time service in April of 2019. Currently, the Mountain Ambulance Service has 24/7 paid staff at the station ready to respond to emergencies at a moment’s notice.